How many laser cutters have you come across as you do your projects? There are quite a number of laser cutters available in the market. What differentiates the best laser cutter from the basic ones are the features. Every manufacturer wants to make a product that’s better and more convenient than that which is already on the market. This is pure bliss for you as a user because competition improves the product or service. That said, I’ll help you pick the laser cutter of your choice for your upcoming projects. Let me take you through the different types of laser cutters and why each one of them is the better option. Different type of laser cutter machine is designed to meet the needs of the consumers. After hours of research, testing and analyzing the features, we put top 5 list for this gears. Are you in the shoe, advertising or toy industry? Are you looking for a laser cut to suit your huge needs? Then this is the machine for you. The Mophorn laser engraving machine is the best laser cutter for small-scale businesses. The Mophorn Laser Engraving Machine supports advanced 3D modeling software such as Photoshop, Auto CAD, and CorelDraw. Most designers will want to use this software as the best work of art is made with good software. If you’re all about good and perfect designs then you have nothing to worry about. This machine got you covered.The cutting size you’d want a machine that can cut a big size just in case you have projects of a much bigger size. With the Mophorn Laser, you are free to take up any project as the maximum cutting size is 700 by 500mm. It is always a relief when you’re not restricted to a certain format while working. This machine is, therefore, a gem for designers as it can support multiple graphics formats like GIF, JPG, JPEG, DST, HPGL, BMP, and many others. You don’t have to worry about having a computer where the laser cutter is. It has a USB interface where you can insert a USB disk and load a file onto the laser cutter. This simplifies your work even when you have multiple of these machines but just one computer to use. The Mophorn Laser Cutter uses the DSP control system. What does that mean? It means that you can operate the cutter entirely without using a computer. This control system is also user-friendly and has a large color display screen. Are you on a budget and you need a good laser cutter? TEN-HIGH upgraded version is the option for you here.It’s a machine that will not cost you as much as the rest of them but its work will be as quality as it should be. Below are the features that make this laser favorable. We are talking about value for your money. You may have spent slightly less than you would but the performance of this cutter will not disappoint. It has a stepper motor with a high power of 120V, therefore, making it possible to reach a speed of up to 3600mm/min. This power is also a guarantee of impeccable quality. Do you have a wide range of materials that you want to work with? If you’re looking to cut non-metallic materials, this machine will do that for you. It can work with a wide range of materials with total ease. You do not have to struggle with uploading files to the laser cutter with a computer. TEN-HIGH upgraded version has a USB interface where you can just insert a disk. What lengths are you looking at for your projects? Whichever they are you don’t have to worry. You could be having longer objects to use on your projects and still work them out with this laser cutter.It has a double door to accommodate any length of material you want to use. It also has a visualization panel that eases the engraving process for you. Ease of use this laser cutter comes with all the help you need to be able to set up on your own. There are instruction videos on YouTube and a manual to guide you through in case you’re stuck.The set up itself is also very easy and so you should not have any problem whatsoever. We all believe that machines are meant to make work easier. If a machine is not doing so, then what use does it have? The ten-high upgraded version has features such as the red light positioning function that improves its functionality. With this feature, it’s easy to position the section that needs engraving. This means you do not have to keep testing to get the right size and position of a cut. This has to be the most interesting laser to have. Its features are incredibly great and it’s the easiest to operate. You cannot regret owning one of these Meterk Laser Engraver Printers. It’s totally boring and exhausting to have to use a single format in your work. That’s not a concern when you have a Meterk Laser Engraver.A whole range of graphics formats is supported by this machine. Be it PNG, DIB, or JPEG. This gives you a lot of freedom as a designer. You can also use it on various materials including plastic, rubber, leather, paper, and bamboo.Ease of use of complex setup is a psyche killer. You don’t want to start struggling with a machine immediately you purchase it. One of the best features of the Meterk Laser is the user-friendliness. The manuals on it are easy to understand and the setup will not take you more than a minute. We all want a machine that will last as long without having to replace it every 2 months. This machine is a jackpot in terms of quality of its make and its work as well. It is made of Stainless Steel, acrylic, and aluminum. This makes it long lasting and you can, therefore, use it without worrying about damage. The Meterk laser is not bulky. It’s small and attractive making mobility easy. You don’t have to worry about your projects not ending on time now because you can work anywhere. You can carry your work with you thanks to this portable machine.USB interface ability to use a USB on any machine is an advantage to anyone. This machine has two of these USB ports allowing you to upload more than one file onto the machine at the same time. This saves you time and energy. 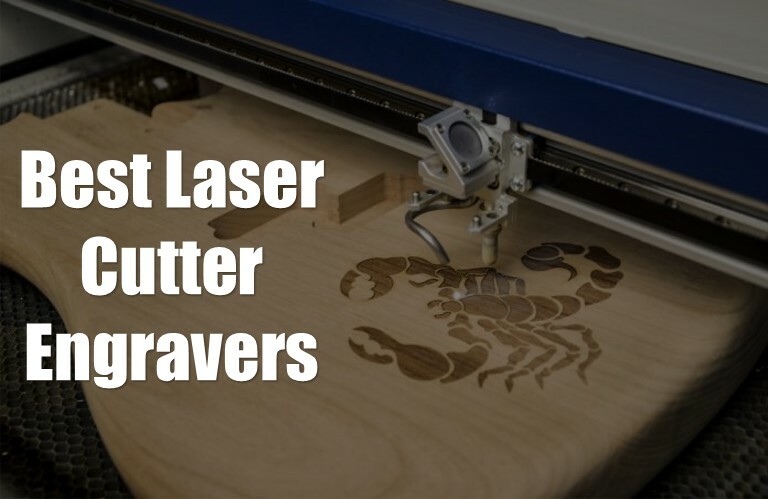 Are you looking for a laser cutter to use for personal projects at home? Don’t look further. The Orion Motor Engraver is a machine that is perfect for home use or someone starting out in the designing business. Despite the fact that it’s best for home use, it can support a variety of graphics formats and software as well. That said, you’ll, however, have to buy the software on its own as it does not come as a package with the machine. On the picture formats, if you use the high-resolution JPEG images, you’re likely to get more quality work. You may think that a machine that’s favorable for home use and starters is not good enough or does not produce good work. Well, you’re wrong. This Orion Motor Engraver can cut a range of materials including wood and plastic. Its cutting depth is 2-3mm.durability just like any other machine, the first thing you’re interested in is how long it will last you. A machine that easily gets damaged will have you spending more than the returns.This machine uses CNC machine parts making it quite durable. The Orion has a quality build and so you can be sure it will serve you long enough. This saves you money. Other small details that could score points for a product is how it looks on the outside. People are attracted to things based on what they see. If you’re the type that wants something that looks beautiful this is your cutter. The machine looks amazing and it can be moved from place to place as it is not bulky. It’s a machine you’ll want lying on your desk anytime. The most important question you should ask yourself when buying a laser cutter is whether it can perform. The Orion engraver is best for home use but that does not mean it cannot perform tasks to perfection. The Orion Engraver comes equipped with a with a quality focal lens that sees to it that designs engraved are precise and require a little effort. Ease of use when you buy a new machine you’re always excited to start using it. However, if setting it up is almost as hard as cracking a safe then you’ll get bored even before you create anything. The ten-high co2 40W 110V simplifies everything for you. It has manuals in different languages giving you the leeway to choose whichever language you’re comfortable with.It also has instruction videos that will help you set up the machine and start using it. Any cutter at work will need to communicate with a computer. For this laser cutter, it has a USB port to facilitate that. You can, therefore, upload anything on the machine using a disk. Having an engraving area of about 40 by 30cm, whereas the resolution ration is 0.026mm, quality of the cuts is guaranteed. They will be precise and perfect.variety you can use most of the non-metal materials with the ten-high 40W 110V laser cutter. If you’re cutting wood, PVC, leather, acrylic or cortical, this machine will not disappoint. Sometimes you may have projects that are longer than the others and you want to ensure all of the turns out great. You can adjust the engraving area on this machine up-to 15cm and work on all your projects with ease. Nobody likes spending on a product that is not worth the money. Even when you’re not on a budget, you don’t want to overpay for a product that has the same features as a much cheaper one. All the same, there are times when cheap will be expensive in the long run and vice versa. Before you buy any laser cutter, it’s important to scout for prices in different places and know which one is the best.materials is important to buy a laser cutter based on the type of materials you intend to use. Some of them cannot cut some materials while others are only good with certain materials.Let’s say you want to engrave your designs on glass. It would be a waste of money if you purchased a laser cutter like the Meterk Laser engraver that does not engrave on glass or acrylics. The OS on your computer whereas some laser cutters will work with all the operating systems on a computer, there are some that work only work with specific ones.Unless your budget includes buying a new computer, then you should check compatibility of the cutter with your OS before purchasing it. Buying a machine could be in your plans and so you do so with ease. Most of the time though, we don’t see the repairs of the machine coming. Any machine will wear out with continued use and that is why you should think of its maintenance ahead of purchasing it. A laser cutter with expensive or hard to find spare parts will have you stressed out in the middle of a project. You also don’t want to end up spending more money on maintenance than the initial price of the laser cutter. By size and power, I mean the size of the bed on the cutter and the laser strength. The bigger the bed, the easier it’ll be to cut larger materials. Even when you have smaller projects, with a big bed you can cut more than one pieces at a time. The strength of the laser is also important. You’ll need a laser with a higher voltage to ensure fast and precise cuts. If you want your items engraved to perfection then you’ll have to go for a laser with more watts. Space available laser cutters come in different shapes and sizes. You could buy a laser cutter and end up using it from outside because it could not go through the doorway. Make sure you get a machine that matches your available space. If you want it on your desktop then get a desktop laser cutter. These ones are usually small, portable and good looking. Are you a startup user of a laser cutter or an experienced designer? When you have used quite a number of laser cutters and are well equipped with knowledge on most of them, it could be a walk in the park to operate any laser cutter. However, if you’re an amateur and you’re trying out laser cutting for the first time, getting a complex machine could kill your dream and morale. You, therefore, need a machine that’s easy to use and has easy instructions. There are people who want a laser cutter just for their home use and others for professional work. Which one are you? If it’s the former, then there is no need to overspend.You can get an entry-level machine and still accomplish all your tasks successfully. On the other hand, if you want it for your business, you must ensure efficiency and effectiveness is achieved.In that case, you’ll get a laser cutter that assures you good quality. It could be a bit costly but since you’re looking to profit from it you have to invest in it. Most people that sell electronics usually offer after sale services to their customers after the purchase. This is because electronics are bound to have unforeseen issues that could slow down the user.However, it is not all retailers that will guarantee these services in case of anything. Before you buy a laser cutter, it is very important to know about their tech support policy.This will have you rest easy as you use your machine because you know the seller has your back. It’s hard for a regular customer to know where to get a technician or spare parts.The seller of the laser cutters, however, has all this information and should be willing to share it with you when you need it. As a safety measure, avoid direct contact of the laser beam with your eyes. It could damage the eyeball. Ensure there is an air extraction system in the working area as the machine emits toxic gases during operation. Have the machine inspected and cleaned regularly to repair any damaged parts ensuring productivity and saving you from exposure to harm. Your materials could catch fire if your air support is not sufficient during operation. It is important to know your machine well and how it works even without the help of a technician. This will help you know when there is a problem that needs a technician and when it’s something you can fix. Fixing a problem early enough to ensure the machine serves you longer. Do not use overwork the machine. When doing projects with a lot of work, make sure to do it in breaks to ensure your machine does not overheat or work more than it can handle. Overworking the machine will have you paying for repairs every now and then. Buying a laser cutter could be a piece of work but once you have it then making quality work will be as easy as it can get. Many people buy machines based on the obvious factors like price and outlook and end up going back to the shop to get another laser cutter. Do not be one of these people. Consider all the above factors before you can actually settle on a laser cutter and I promise you won’t have anything to worry about after buying. I don’t want you making substandard items because you did not do good research before starting out. This is everything you should know about the best laser cutters on the market today. I hope you enjoyed the read and absorbed the information. The ball is in your court now.